The last time we wrote about Kate Spade was when the NY label collaborated with tech bag brand Everpurse to spawn a couple of stylish tech handbags that embodied the famous Kate Spade look. Following the success of the headline grabbing partnership, the fashion design house has now decided that the time is right for them to go it alone. Launched in 1993, Kate Spade quickly became well known for its range of handbags, jewellery and accessories. Fast forward twenty-three years, and the brand’s now introducing us to their line of fashionable tech devices. The new connected wearables, include fitness trackers available in two styles- the scallop tracker and the bangle tracker and a smartwatch. “The charming accessory is so beautiful that you can forgive it for only being able to count steps and track sleep”. 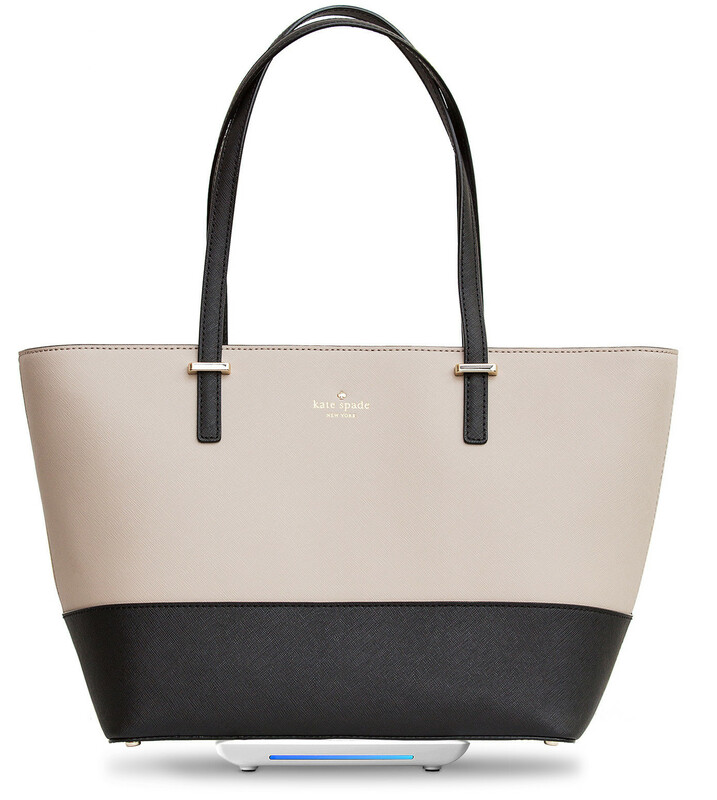 “Pretty but basic”, are the words that we would use to describe the Kate Spade tech range. The handsome accessories look good but have limited capabilities when it comes to today’s technology expectations. Not too put off by Kate Spade’s obvious choice of fashion over function, our favorite piece has to be the mother of pearl bangle. The charming accessory is so beautiful that you can forgive it for only being able to count steps and track sleep. Operating on replaceable a coin cell battery, the bangle, along with the scallop tracker and smartwatch, gives you access to your mobile notifications. With the option to set personal goals, other features include a control that allows you to turn up your workout playlist whilst giving you the ability to take a post-run selfie right from the tracker. Taken in by its beauty, we decided to give the designer tech accessory some downtown LA street style by partnering it up with a pair of stonewashed jeans and a flirty top. We finished off the look with the kind of stilettos and earrings that will easily take you from from day to night. Connecting to your phone through the smartphone app all the tech pieces are iPhone and Android compatible. Our favourite piece, the mother of pearl bangle, is priced $150.00 and can be purchased at Kate Spade’s online and offline stores. All three pieces will be available in the UK from November 2016. If you fancy adding this look to your wardrobe then look no further than Missguided, Cadenzza and AX Paris.